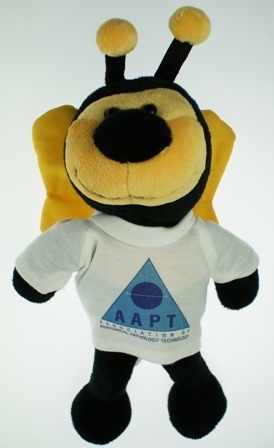 It’s acknowledged that there can only be one Bert/Burt in the AAPT, so the 2013 mascot below aka Bertie Bee needs a new name! If you can re-name the Bee, with an explanation for the name given, in no more than 100 words, you can win a £15 Amazon voucher. Only one entry per member please! Complete the entry form and they'll also be a prize of a £5 voucher for the worst (or shall we say most humorous) effort. Email the form to mail@aaptuk.org to enter with your name and membership number quoted. The winner, decided by the Conference planning committee, will be announced shortly after the closing date of 1st June 2013 and, in addition to the voucher, will have the winning name adopted as official!